As a child there was nothing in this world that would make me eat pumpkin and shrimp. It was definitely on my list of least favorites. The years rolled on and I made it a point to stay away from this dish that I simply detested. Once I became an adult, I made it a mission to try most of the foods that I hated as a child because I realized that our taste buds mature with age and the food we hated as children can be absolutely enjoyable as adults. 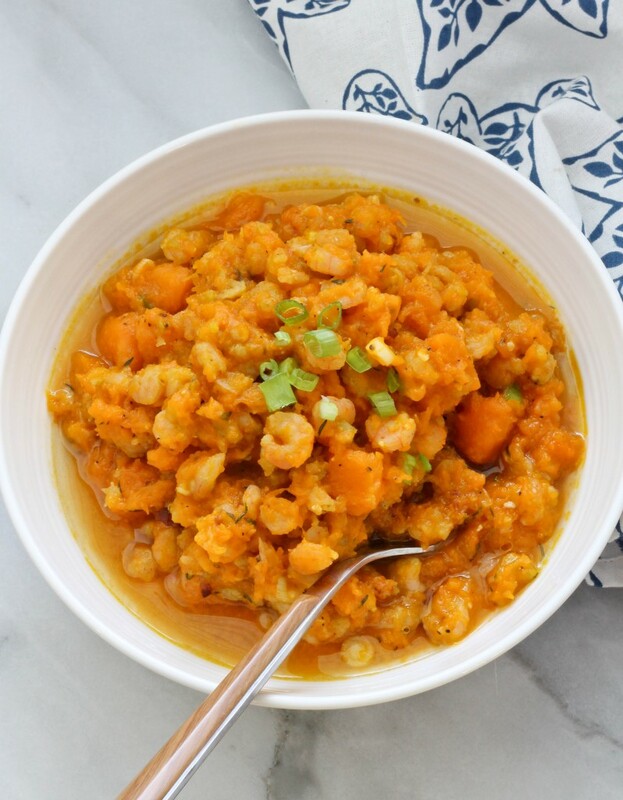 To my surprise I fell in love with pumpkin and shrimp – and roti to be exact. While it’s not something that I make very often, it is always a meal that I look forward to. I’ve made it with the large shrimp and the small white belly shrimp and I find that the smaller shrimp works best. 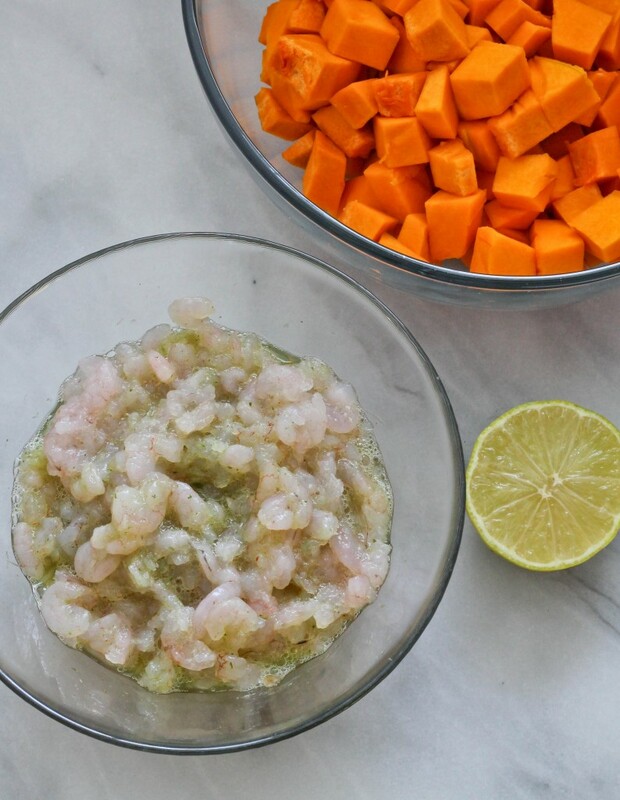 Mix shrimp with green seasoning and lime juice. In a large pot over medium high heat, add oil. When oil is hot add shrimp and cook until the liquid disappears. Add onion and crushed garlic and sauté for a few minutes then add pumpkin, wiri wiri pepper, thyme, salt and black pepper and stir to combine. Add water and cover the pot. 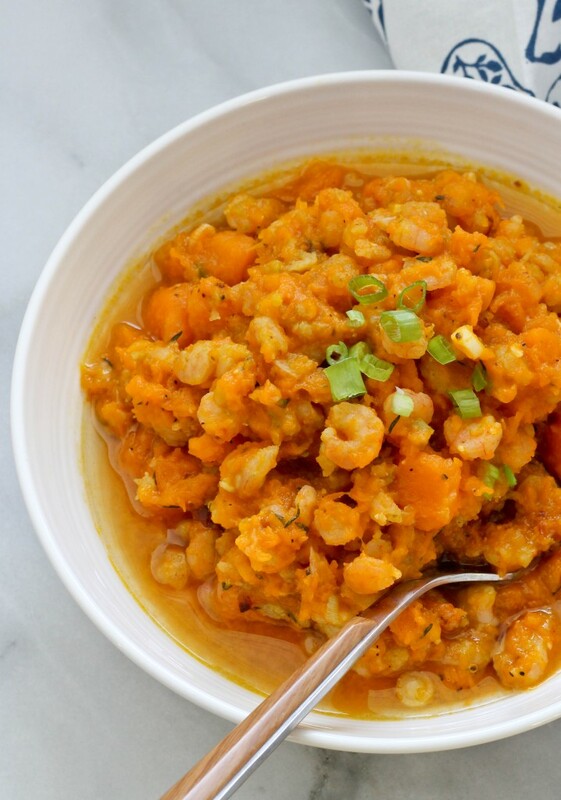 Lower the heat to medium low and cook until pumpkin is soft, about 15 minutes. Remove from heat and sprinkle with scallion. Serve warm. *Remove seeds from the pepper if you do not like spicy food or will be cooking for kids. I love pumkin and shrimp! My mom made it for me all the time. Since she passed away, it has been over 5 years since I have had this dish. I want to try and make it. Question: What is the green seasoning? Do I make it myself?